Every January some of us think about the fresh new year and what we can do to make the most of it. Start a fitness program? Find a new job? Get organized? Do you look at the photos collecting up on your phone or other devices, or at the boxes of old photos in the basement, and wish you could get them into order? 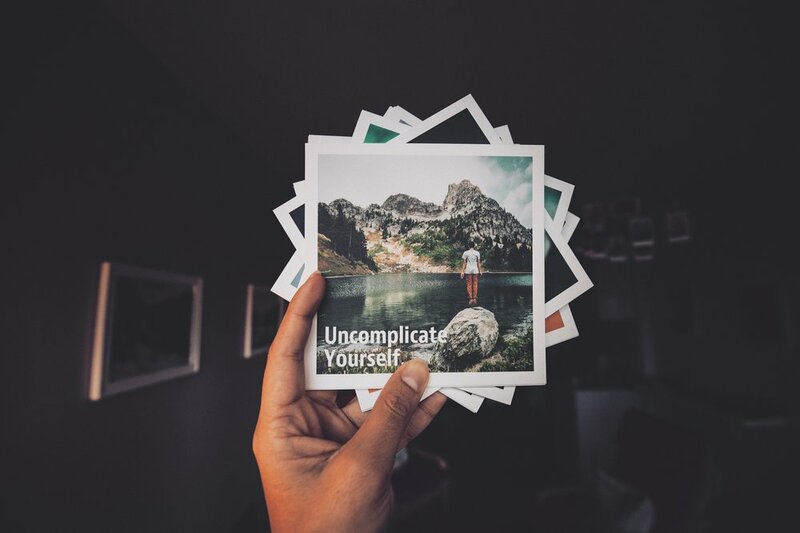 Maybe you envision making photo books for your kids or getting your parents to tell you the stories behind your old print photos, but you become overwhelmed at the very thought of digging through the chaos to find the photos, let alone do anything with them. “Holding onto pictures was, for the most of the history photography, a matter of material decay and physical storage. Are these prints fading, and how fast? Are they organized by year or by subject? Do I know where they are? We don’t necessarily want to become archivists even we have large collections of photos. It can be expensive to hire a professional organizer to do it all for you. You can do it yourself, but it can be a big job, and it can be difficult to stay motivated. That’s where a GroupShot can help. A GroupShot is one of several products offered by Memories in Focus: Picture Your Stories Preserved. It’s aimed at the DIYers who are willing to invest some time in their own photos. Each GroupShot consists of five workshops that focus on specific skills you can use to manage your own photo projects. Three sessions are in-person meetings in Georgetown and two sessions are Zoom chats you can join from your home or office. These sessions are spaced two weeks apart so you can put your newly acquired skills into practice. The philosophy behind the GroupShot design is to define achievable goals and work towards a photo collection that will survive potential catastrophes and be exactly the legacy you want to hand over to the next generation. We aren’t aiming for perfection or to create objets d’art that would make Martha Stewart jealous. You don’t have to learn expensive or complicated software programs and spend hours building a database that needs constant maintenance to avoid obsolescence. GroupShot workshops will help you understand the basic skills, introduce you to the options, and help you design a photo management system that works for you. 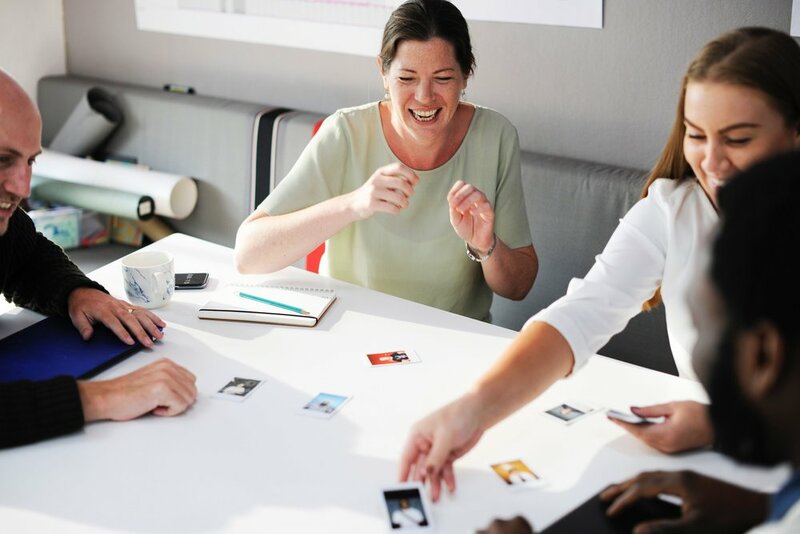 As a GroupShot member, you will have access to worksheets, resource lists, and a private discussion group where you can ask questions, share your success, and gain support and accountability. The groups are small and very interactive so that we can answer questions, motivate one another, and learn from each other. Just as working out in a group fitness class can motivate you to show up consistently and get fit faster, the active learning design of a GroupShot will energize you and motivate you to finish what you start. I’m ready to beta test the first GroupShot and am offering a one-time discount on the fees for the very first group of participants. The program will be refined in response to your input and specific interests. Check out the information page for all the details and to register. Space is limited. I’m not talking about the satisfaction of a job well done, of feeling uncluttered and organized. 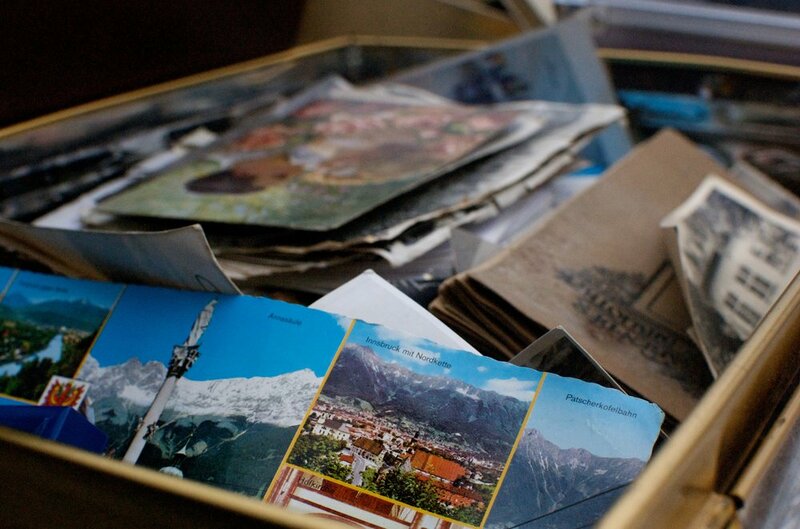 Could decluttering your photo collection make you truly happy? On the other hand, looking at photos of people and events from your past can lift your spirits, trigger happy memories, and make you feel generally more positive about yourself and your life today. But if it is a mammoth undertaking just to find a particular image, you are more likely to feel frustration and dismay than happiness and contentment. Because we now take photos of anything and everything, thanks to the cameras in our pockets, we are overwhelmed by photos. 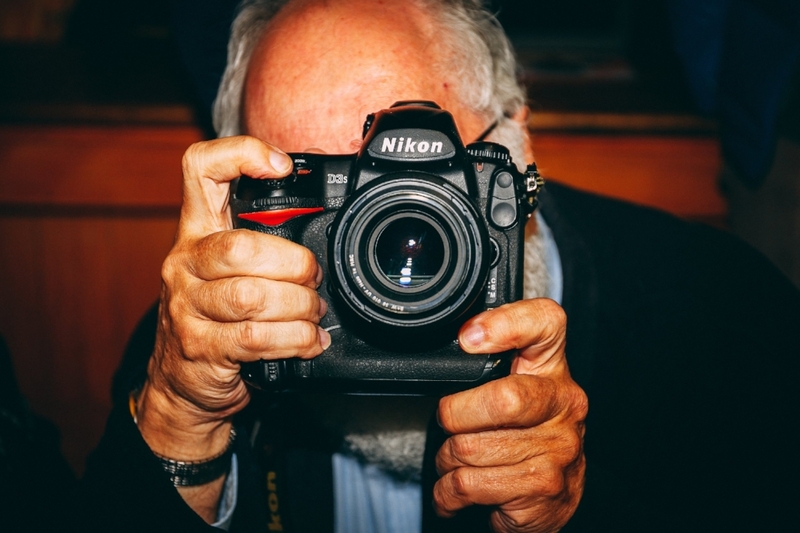 InfoTrends estimates that more than 1.2 trillion digital photos will be take this year. Do you feel joy when you open the camera roll on your phone, or do you feel your stress creeping up? Can you show vacation photos to friends and family, or does the very thought of the hundreds--or thousands--of photos make your stomach churn? Can you find that special photo exactly when you want it or need it, or do you go into panic mode and desperately search folders with no idea what you named the file--if you named it? It’s not just digital photos that can cause us stress. Going through old prints from film cameras should trigger happy memories of times past. Instead, we can feel guilt and frustration when look at boxes of photos in no particular order, are unable to find one good photo of Grandma and Grandpa, or struggle to pinpoint names, places, and dates. And worrying about what could happen to the memories buried in those boxes or on computer hard drives in the event of a disaster, or just a damp basement, does not lead to happiness. Your happy memories of the past can lead to a greater sense of fulfillment and joy in the present. It is a gift to yourself, and to your family, to dig those happy memories out of the cluttered mess of photos and let them work their magic. I had a conversation--with an older lady--about photos and managing photo collections. She told me that no one she knows would want to learn about managing their photos because none of them are computer users. My first thought was, Really?!? Is that true? My own mother will soon turn 90 years old and she has used a computer for about 30 years. She is not incredibly tech savvy and she no longer does much more than check her email and do a bit of online banking, but she used to scan her old print photos, write stories using a word processing software, and a lot more. I’m pushing into that older demographic myself and I have been using computers for work and personal purposes for many years. I am sure that many older people are comfortable with technology and are quite capable of learning new computer skills. My second thought is that managing your photo collection doesn’t mean you have to be a computer expert. You might not want to have your collection in the Cloud, so you don’t have to learn all of the Cloud-based apps. You may want a user-friendly app that doesn’t have too many bells and whistles, but will help you handle the basics of collection management. Perhaps you are primarily interested in your print collection--all of the albums and boxes of prints. Getting all that into order doesn’t require slick computer tools. Anyone with some patience can do it. And there’s a saying: “Do what you do best and hire the rest.” There are professionals who are expert at digitizing old prints, if that is what you need done. You can hand over your best prints and get back digital images that are optimized for whatever you want to do with them. There are other professionals who are practiced with digital photo book creation software. You can send them your collection of digital images and they will create the book for you. You don’t need specialized equipment, nor training on complex software, to achieve your goals. My point is that no one should believe that they can’t build the photo collection that can be shared and protected, just because they don’t have mad computer skills. Even if you feel you are only somewhat comfortable with technology, there are MANY computer tools for photo managers to choose from. While some apps do have steep learning curves, that are others that are much more straightforward to learn. The goal is always to design a system you are comfortable using and will want to maintain. The first question I will always ask is, “What do you want your photo legacy to achieve?” And then we go from there. No, most people can’t save all their photos in a month. A job well done will take longer than that. Save Your Photos is an initiative of the Association of Personal Photo Organizers to show the public how they can preserve life’s irreplaceable photos, videos, and documents, in case of an unforeseen accident or disaster. We spend the month of September raising awareness and educating people about the benefits of safeguarding their photos. If you’re going to go to the effort of organizing your photo collection, and creating photo books, albums, or video shows, then you will want to protect the legacy you will leave your kids and generations to come. Close your eyes and imagine a worst case scenario. Your house is on fire. There’s floodwater creeping closer to your home. A pipe has burst in your basement and no one is home. What do you do? Will your photos survive? Can you grab up albums from around the house, find the boxes in the basement and pull them to safety, and rescue the computer that holds all your digital images? If we’re honest, worrying about your photo albums or photo boxes should not be at the top of your mind when disaster strikes. Above anything else, get yourself, your family, and your pets to safety. Stuff means nothing if we lose those who give our lives meaning. But once the personal danger has passed, it's natural to worry about the photo collection you’ve spent years building. Will the old portraits and black and white photos you inherited from your parents or grandparents make it through? What about the videos of your kids when they were babies? Will they survive water or fire? If they are lost or irrevocably damaged, do you have some way to replicate them? That’s where Memories in Focus comes in. By putting in the time--maybe more than a month--we can work together to ensure that you are able to back up digital photos and protect delicate prints and videos. This September, think about the family photos you want to be around for future generations to enjoy. If you want to learn more about protecting your photo legacy, look for a Save Your Photos Month event near you. There was an article in the New York Times in 2017 that probably struck fear into the hearts of so many Boomers and retirees. Tom Verde, the journalist, said that the waves of older adults looking to downsize and pass on their family heirlooms are in for a big surprise: their kids don’t want all those beloved keepsakes and material evidence of a life well lived! Their parents want to ensure their memories survive, but the kids have neither the space for, nor the interest in, all that old stuff. I’ve experienced this myself. My mom wanted to entrust her treasures to me as my parents downsized. Some of these items meant nothing to me and I had no practical use for them. For example, there is a treasured family heirloom that once belonged to my grandmother. I never knew my grandmother, so I have no idea if it was important to her. But my mom expected me to take care of it. I did some research on the piece to see what it might have been used for, and that’s how I discovered it’s broken. It’s missing several vital pieces that impact its intrinsic value and function. The memory this item triggered belongs solely to my mother. For me, it is nothing more than clutter and it will likely disappear some day. I doubt my kids will want to dedicate valuable space to it. But that’s stuff....things. What about all of the old print photos, the 11x14-inch framed prints, the boxes of old video cassettes? What about all that AND the collection of even older photos that you inherited from your parents? Your kids will be thrilled to have all of it, right? How many thousands of digital images are on your phone (phones? ), your tablet, your computers, and in the cloud? Will your kids value and protect them? These are your precious memories; will they be around so your great-grandchildren can appreciate your life and your legacy? You can take some action to make it easier for your descendants to accept this gift and to take due care to pass your family legacy on to future generations. I wish it could be as easy as uploading everything to the Cloud or using an app. But an app or a Cloud storage site won't magically attach all the memories to your images. No one will know why you kept a particular photo unless you tell them where it was taken and why. You can’t assume anyone in the future will recognize the people in the photo or the occasion. The real story may not be visible in the photo. You have to put some time into building a collection of photos that will tell your stories. It can seem overwhelming. If you look at your entire collection of photos and digital images at once, you might not know where or how to start. I don’t have a simple answer for you. There is no quick and easy route to perfectly organized and protected photos. But we can work on it together.